My Parents' Basement will have outdoor food and beer sales by the main stage. You can pick up a hamburger or slice of pizza along with a delicious Wild Heaven beer. Their kitchen will also be open inside, so you can enjoy anything from their regular menu as well. Anchoring the Tudor Village, Pallookaville has become an Avondale Estate staple. 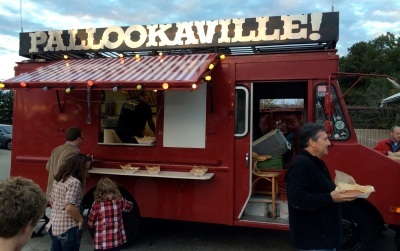 The Pallookaville Fine Food Truck will be slinging corn dogs at May Ham Fest. Doesn't get much better than cornbreaded meat on a stick!! All your favorites will be available! 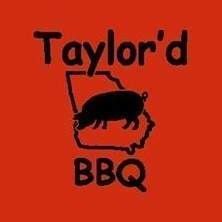 Not only will Drew Page and Josh McDowell be bringing their fabulous smoked wings, BBQ sandwiches, sides, and desserts to Avondale May Ham Fest, they are excited to bring a brick and mortor Taylor'd BBQ to Avondale Estates this summer. So come get a sneak taste of the mouth-waterin' BBQ now! ​ Bartender on Board (“BOB”) is Avondale Estates’ premier upscale alcohol beverage caterer. Collectively, BOB has over 30 years’ experience in the customer service and bartending industries. Visit their booth to enjoy cocktails, wine, and even frozen drinks for the kiddies! See how they can make your next event shine. A fine addition to Avondale Estates, the Beer Growler brings you some of the finest selections of craft beer out there. Don't know what you want? Stop in and get a flight of beers (5 of your choice). The Beer Growler will also have kid friendly root beer for sale at the event. Tap into Taste, again and again!! Once upon a time in Bavaria, the German landscape was covered in snow and fog. As mist loomed through the air, James, the Doggfather, exited a Christmas mass towards town square. As he passed through, he noticed a gentleman set up with a cart selling tasty sausages on crusty bread with mustard. From there, the inspiration was born. 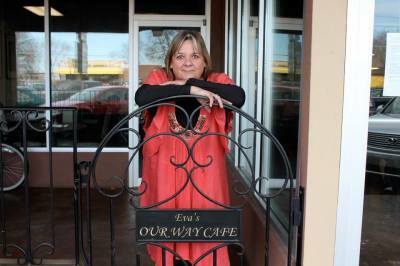 Our Way Cafe posts their delicious menu items daily. With amazing items such as meatloaf, pot roast, and shepard's pie, Our Way Cafe will sooth your soul. And it is difficult to choose from all their sides, but so worth it! So, come savor the flavor!